Sometimes you just need to slow down. When your day is divided into fifteen minute segments and they are all full, it’s time to take a break. The constant connection to technology, background noise of the city with traffic, sirens, and planes overhead, and 24/7 demands of a fast paced lifestyle can all take their toll physically, mentally, and emotionally. Marriages and families need quality time away from the demands of the outside world. The miracle of the clock slowing down as relaxation replaces stress and anxiety is a joy to experience. And it’s easy to do when surrounded by the magnificence of the Rocky Mountains, breathing clean air tinged with the scent of pines, drinking water almost from its source, and basking in the golden sunlight of summer high in the mountains. 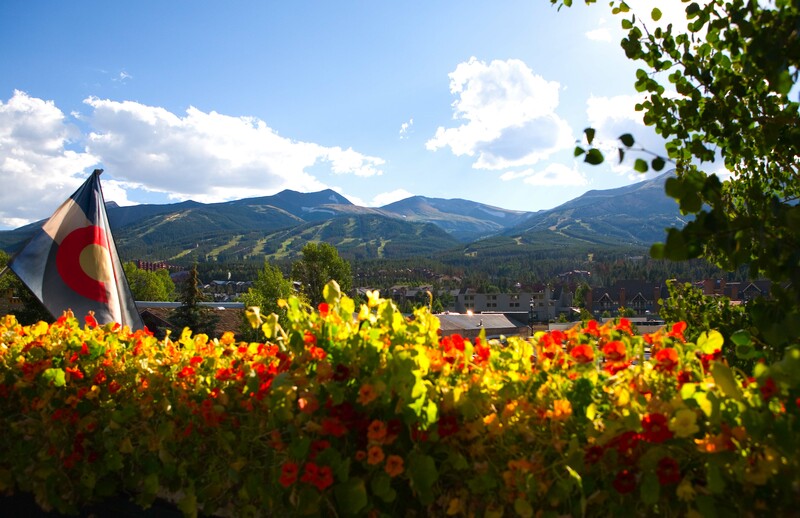 It’s Breckenridge, a quaint Victorian town – the perfect cure for stress and the perfect retreat for family and friends. What would make your summer vacation more perfect? BEING ABLE TO CALL BRECKENRIDGE YOUR SECOND HOME – THAT WOULD MAKE IT PERFECT! And you can own a fabulous studio to four bedroom luxury condo at the Grand Colorado at Peak 8, complete with world class resort amenities, casual luxury, and a mountain modern luxuriously furnished condo – changing your vacation from going to your home away from home IS PERFECT. The perfect way to own a second home in Breckenridge is fractional real estate. That’s right – deeded property with a mortgage but at a fraction of the price of whole home ownership. With absolutely none of the hassle of upkeep of a vacation home, and absolutely all of the amenities of a world class resort. You only buy what you will use, instead of letting a vacation home sit empty for the times you can’t get away. It truly is the perfect solution. BUT…. there is always one fly in the ointment… There is extremely limited inventory for this exclusive resort, set to be THE most coveted address in Breckenridge. You need to move fast if you want this perfect dream to become a reality. It is the opportunity to own luxury real estate in Breckenridge, Colorado and you don’t want to miss it. Contact Senior Broker Brent Henry now for a complimentary, no obligation, and no pressure consultation or for more information on this opportunity in the mail. Simply tell him about the dream you have for a home away from home in Breckenridge, and let him help your dream become reality. Call Brent at 970-485-2117 or simply fill out the convenient form below to receive an owners package by mail. This entry was posted on May 25, 2015 by elevatemarketingaz. It was filed under Breckenridge Colorado Luxury Condo Sales, Breckenridge, Colorado Real Estate, Fractional Ownership Real Estate Breckenridge CO, Fractional Real Estate Breckenridge Colorado, Luxury Fractional Real Estate Breckenridge Colorado, The Grand Colorado on Peak 8, Uncategorized .